For more than 29 years, David has represented clients in State, Federal and Administrative Courts in a wide variety of both civil and criminal matters. He has tried hundreds of cases to verdict before judges and juries and has recovered millions of dollars for those injured as a result of the negligence of others. In addition to civil cases, he has represented individuals who have been arrested or have received citations alleging violations of the law. He has tried cases ranging from a simple traffic ticket to murder and provides aggressive thoughtful representation to each of his clients. 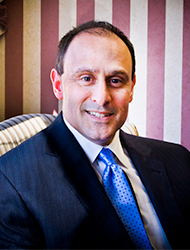 As a result of his proven track record in the courtroom, David is often referred clients by other lawyers for purposes of litigation or to represent their family members in both criminal and civil matters. Due to his experience, reputation and understanding of the litigation process, he has been requested to serve as arbitrator in alternative dispute resolution. While David’s office is located in Baltimore County, he represents clients throughout most counties within the State of Maryland, as well as in the District of Columbia.